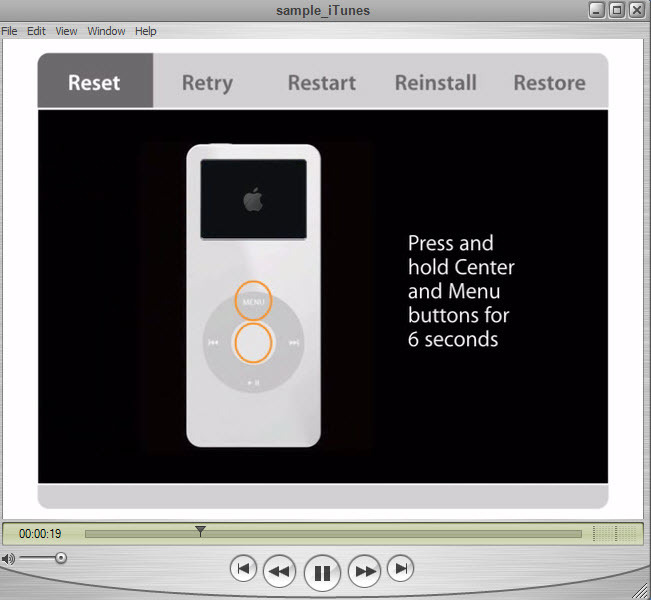 QuickTime Player is a software made by Apple and is able to play video and audio files. Unfortunately, the program doesn't support well all popular file formats, but you can use it to play .mov, .mp4, .mp3, .wav and a few other formats. If you are looking for a wider compatibility, we would recommend VLC Media Player (free). 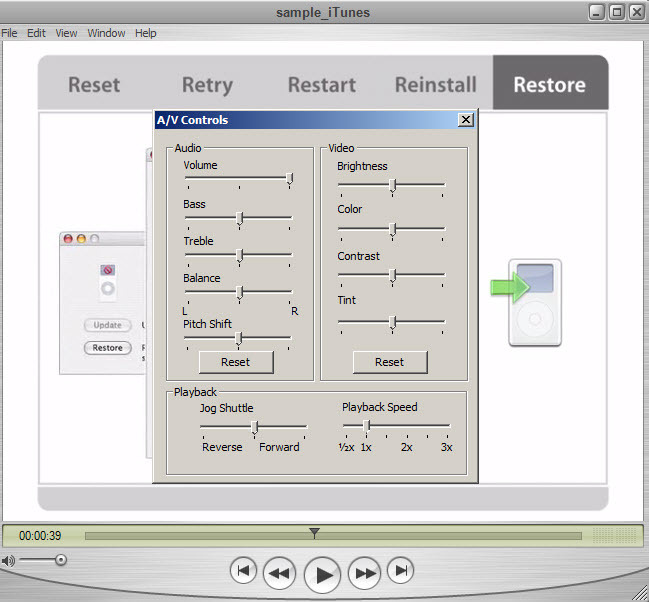 QuickTime can render videos in high quality mode, you can adjust volume, bass, treble, brightness, contrast and other properties for audio and video. It allows full screen mode. Pro: It displays video in HD format. Cons: It doesn't support all file formats such as MKV. Has failed to display some MP4 videos. Conclusion: We don't recommend it because it supports only a limited number of video formats, for Windows we recommend VLC. 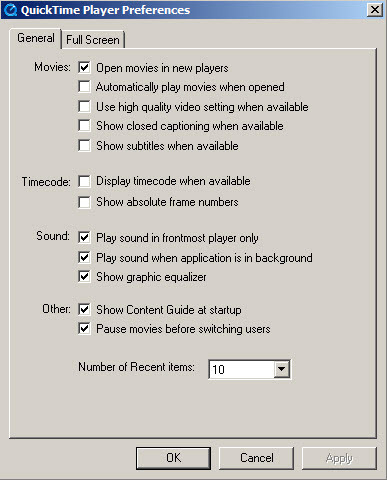 QuickTime Player is available as free download for Windows 32-bit and 64-bit. QuickTime Player is 100% clean and safe to install. You can see the test results here.